A new trailer and poster for Suicide Squad, Warner Brothers’ movie about the DC Comics villains super team of the same name featuring Joker, Harley Quinn, Deadshot, Killer Croc, Enchantress, Boomerang, Katana, Diablo, Slipknot, and more, has been released online for all to enjoy. The trailer was debuted during the DC: Dawn of the Justice League special on The CW hosted by Kevin Smith and featuring looks at upcoming titles like Squad and Batman v Superman: Dawn of Justice, complete with interviews with cast and crew working on WB’s DC universe such as Ben Affleck, Henry Cavill, Gal Gadot, Zack Snyder, and Patty Jenkins. We saw some Justice League concept art released for the special earlier today. 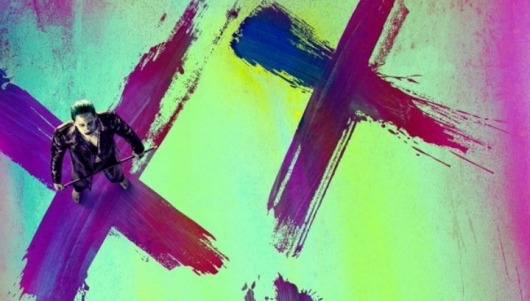 You can check out the new Suicide Squad trailer and poster below. 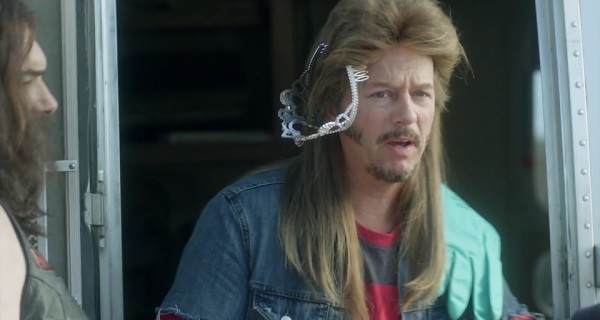 A full official trailer has been released for Joe Dirt 2: Beautiful Loser, the sequel to the 2001 comedy that starred David Spade as the heavily mulleted title character. The first trailer, a teaser running only 46 seconds, showed far less than this official trailer, which runs over two and a half minutes. The new trailer shows more of the Wizard of Oz-like storyline, in which a now happily married (with children) Joe Dirt gets whisked off by a twister and transported back in time to 1965. Now you want to see a Wizard of Oz remake where Dorothy gets sent to 1965, admit it. 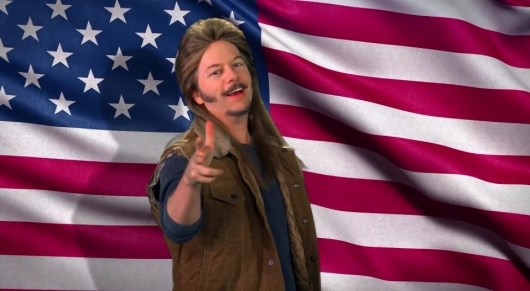 You can read more about Joe Dirt 2: Beautiful Loser and watch the full trailer below. Slight NSFW warning is in effect for language, though instead of being in the R-rated red band trailer zone it’s more of a PG-13…blue band trailer? Yeah, let’s go with that. David Ayer knows how to make use of social media. After posting teaser images leading up to the start of filming of his Suicide Squad film, we are now getting our first look at the titular characters of his upcoming adaptation, thanks to his most recent post on Twitter. 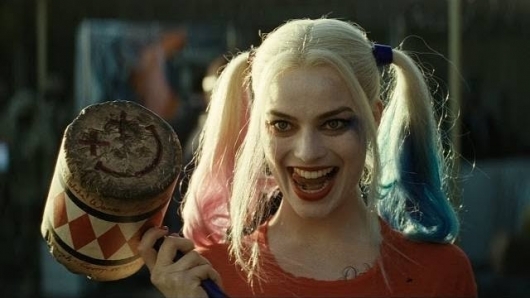 The image features Margot Robbie as Harley Quinn, Will Smith as Deadshot, Jai Courtney as Captain Boomerang, and Joel Kinnaman as Rick Flagg, among many others. 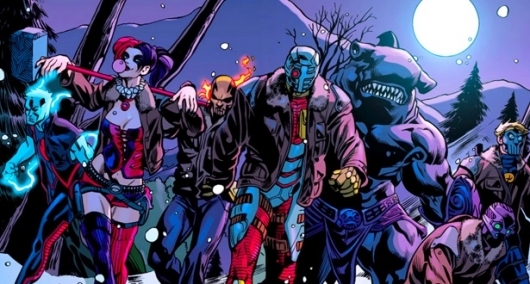 Check out the Suicide Squad cast photo in the image gallery here below. 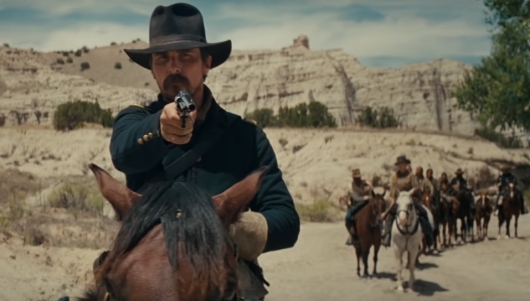 The first teaser trailer for the highly anticipated by some, not so anticipated by others sequel to David Spade‘s 2001 comedy Joe Dirt has been released online. The movie, officially titled Joe Dirt 2: Beautiful Loser, will be released on Sony’s free movie and TV show streaming service Crackle sometime this summer. In May of 2014 Spade was talking about trying to make the movie and getting actors from the first movie to return, but that they were aiming to release on Crackle and that meant the budget would be far lower. These budget cuts are apparent in the first teaser, but it still looks like it could be fun for fans of the original. You can check out the first trailer and a poster for Joe Dirt 2: Beautiful Loser below. Yesterday, we reported on the Suicide Squad cast photo that was posted on director David Ayer‘s Twitter account. While it was exciting to see everyone get together at their first read-through, plus see some new additions, Jared Leto was noticeably absent from the photo. Was it a bathroom break or was he busy doing something else? It really doesn’t matter at this point, because Ayer has posted the photo that everyone has been waiting for – so to speak. 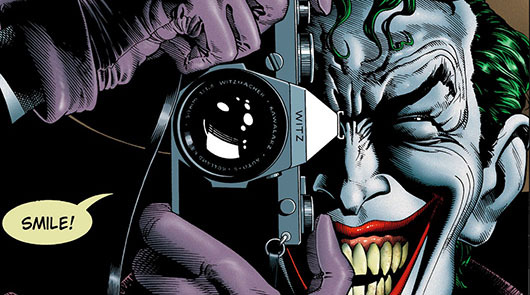 A first look at Leto as the Joker, using the infamous “The Killing Joke” cover as a reference. Hit the jump to check it out. Social media has been a great way to reach out to fans and followers. Vin Diesel and Ryan Reynolds make great use of the platform to help promote their films. Those following director David Ayer may have noticed that he has been posting set photos and props from his upcoming DC film Suicide Squad. But last night, he posted one of the biggest teases, a cast photo with Will Smith, Margot Robbie, Jai Courtney, Cara Delevingne, Joel Kinnaman, Viola Davis, Adewale Akinnuoye-Agbaje, and new additions Adam Beach (Law and Order: SVU, Flags of Our Fathers), Jim Parrack (Fury, True Blood), and Ike Barinholtz (The Mindy Project, Eastbound and Down) at a read-through. Jared Leto is notably absent from the photo, but we’ve already seen his transformation in tweets. Find out who Beach, Parrack, and Barinholtz are playing and check out the new photo after the jump. 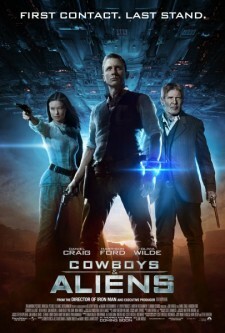 The two genres of film I love the most are science-fiction and westerns. They both speak to my soul and provide fuel for my imagination. When I dream of fantastic adventures, it either involves me traveling through space to magnificent distant worlds or exploring the frontier of a new nation being forged right here on Earth. Combining the two genres into one glorious and entertaining package is like presenting me with the cinematic equivalent of a Reese’s peanut butter cup. It would definitely explain why I love Firefly and its big screen sequel Serenity so dearly. But I love it when a movie crossbreeds genres like that. Among my favorite directors of all time are John Carpenter and Walter Hill, two great filmmakers who made their careers playing around with the archetypes and stylistic flourishes of western storytelling in modern settings. Hill, unlike Carpenter, actually got to make a few honest-to-God westerns in his life. Both the science-fiction and western genres are inhabited with intriguing, larger-than-life characters populating worlds filled with mystery, chaos, and wonder, another great reason why the two distinct genres complement each other so well as long as neither side overwhelms the other over the course of the story. Jon Favreau, no stranger to making films with elements of the fantastic (Elf, Zathura, the Iron Man movies), understands this perfectly and it is that understanding that accounts for a huge part of the success of his latest feature, Cowboys & Aliens.